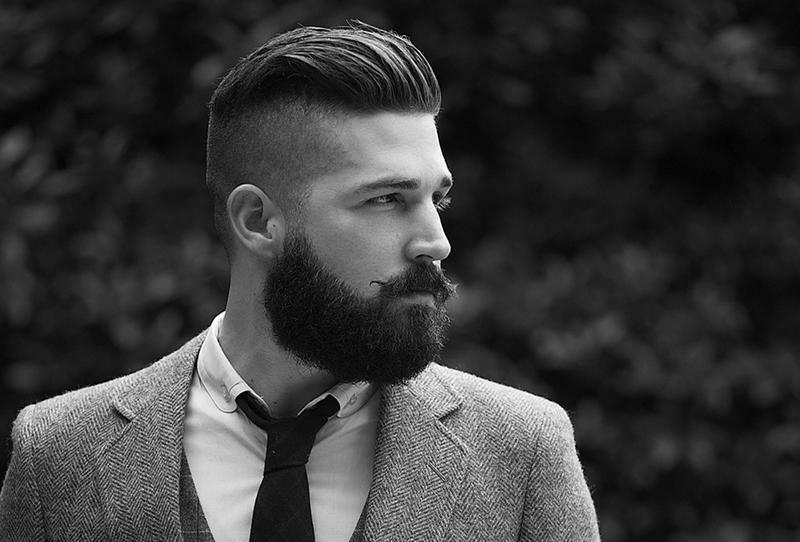 There are several strategies on how to make men’s hair look thicker. Many men face problems with different kinds of hair loss. Some males are affected at an early age while others do not notice a lot of thinning until they reach their 50s. Here are some tips for adding luster and body to that once impressive mane of yours. There are many baldness cures on the market today, and they should be approached with a healthy dose of skepticism. If you are serious about baldness, you should see your doctor for help. You may receive a prescription that can help a great deal with baldness. However, you need to educate yourself on the risk of these drugs, as there can be some disturbing side effects. Once you are aware of the risks, you can then make an educated decision on what to do. Frequent haircuts can add a great deal of body to your hairstyle. This helps to eliminate split ends and can also encourage new growth. You should get a haircut at least once a month. This can make a difference. The length of your hairstyle can have a lot to do with its appearance. It is best not to go for a long hairstyle as it can pull on the head and give a thinner appearance. Not only that, longer hairstyles can make bald spots a lot more visible. However, it is best not to have too short of a hairstyle either. If your hairstyle is very short, it will reveal thinness and any imperfections that you have. Go for a style that is somewhere in between short and long. Talk to your barber or hairstylist about your concerns. Professionals are trained in these matters and may be able to provide some valuable insight. They can suggest the perfect hairstyle for the shape of your head and face. Also, they may be able to recommend shampoos, conditioners, or salon products, that will add luster and body. When you shop for shampoos and conditioners look for ones that add extra body. It is also important to use a good shampoo every day. This is especially important if you have oily hair. Oil will accumulate quickly if you do not shampoo on a regular basis. Oil will weigh down your look and cause everything to appear thinner. Try to stay away from mousse and gel products. This can provide an oily appearance and show up thin spots on the head. Use products that are light and designed to reduce oil buildup. Be sure that you drink plenty of water and get proper nutrition. Healthy hair is dependent upon things that you take into your body. Also, be sure that you take a good multiple vitamin product every day. Look into products that add body and texture. Shampoo every day to help avoid oil buildup. Stay away from heavy products like gels and mousse.